Xeric Gardening was started in 2009 in Boise, Idaho, by Peggy Faith, who has been in the horticulture field for 25 years. 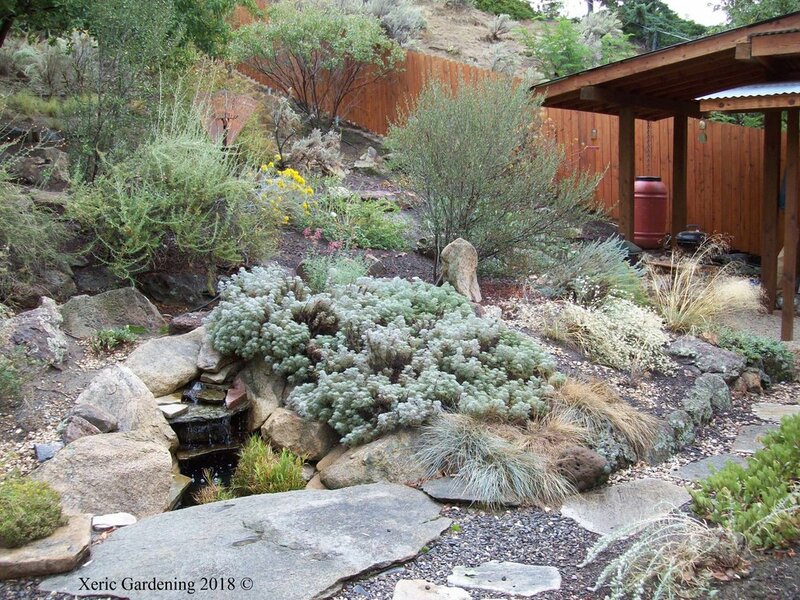 We have been designing, installing, and maintaining gardens with lower water needs for residential and commercial clients in the Treasure Valley. We also do consultations. We install xeric lawns, but do not do lawn care. We can advise your lawn care provider in the care of xeric lawns. Most of our hardscaping is done by other contractors, but we are happy to help in the design. The term "xeric" was coined in the 1980s in Colorado. The word comes from the Greek xeros, meaning "dry". Xeriscaping is using plants that need less water to create beautiful gardens. We use mostly plants native to the U.S., but also non-native, non-invasive plants from other arid regions. We hope this website will inspire people who live in drier regions to consider alternatives to traditional landscaping practices. We have recently started to pair with different organizations to promote pollinator gardens, student native plant projects, and the rehabilitation/restoration of the foothills.